1. The high price of cheap gas. While many economists emphasize the positive effects of low gas prices—more disposable income in consumers’ pockets, which can act as a stimulus—it’s also important to acknowledge the costs. Reducing the price of driving, shockingly enough, makes people drive more—leading to more traffic congestion, more pollution, and more injuries and deaths as a result of vehicle crashes. But the changes in behavior we see as a result of fluctuating gas prices also serve as a kind of proof of concept that many of these driving-related problems can be mitigated by getting prices right. We don’t have to wait for gas to get more expensive; we can choose to enact congestion charges, dynamic parking fees, and other measures to show drivers the true costs of using their cars. 2. The shopkeeper: A zoning parable. How did American cities get the way they are? 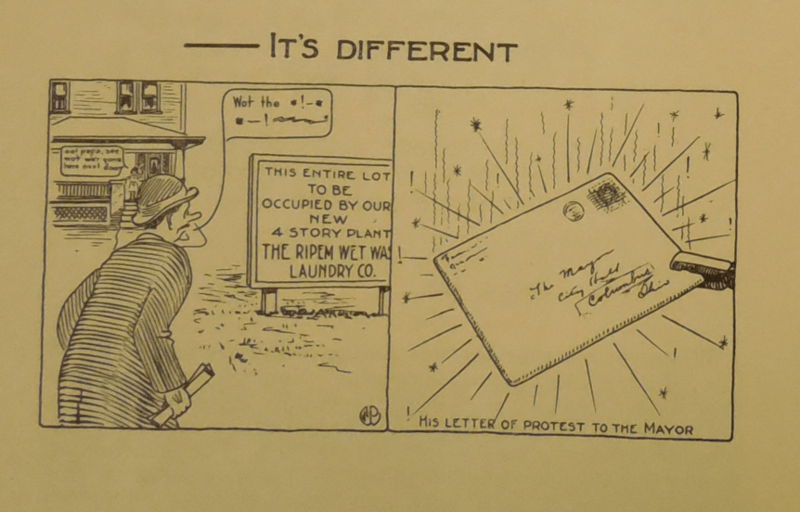 What kinds of regulations existed before zoning, and what motivated people to change them? Jumping off of arguments made in a new book by the highly influential academic William Fischel, we tell this story as, well, a story, following a shopkeeper from the early 20th century through the postwar decades as he navigates our changing urban form—and lobbies for laws that allow him to control it. 3. The origins of the urban housing crisis. We examine Fischel’s arguments about why the 1970s were a pivotal time for American housing policy, and why our current crisis can be traced to changes made in that decade. Before the ’70s, the high-housing-price metro areas were about twice as expensive as the national average; by 2000, that gap was doubled. Fischel blames a newly restrictive crop of zoning laws, driven both by a fear of newly “encroaching” low-income and non-white residents to the suburbs, and the rapid increase in the proportion of homeowners’ wealth accounted for by their homes. 4. The Aspen Institute named “The high price of cheap gas” one of its “Five Best Ideas of the Day.” Not to brag or anything, but we were actually number one. 1. The Obama Administration’s Rental Assistance Demonstration program, or RAD, has the potential to transform American public housing more deeply than any reform since HOPE VI in the 1990s sought to replace midcentury towers with lowrise mixed-income developments. In the latest issue of Planning (warning: paywall), Jake Blumgart takes a closer look at RAD and another Obama program, Choice Neighborhoods, which grew out of HOPE VI. RAD responds to rapidly declining funding for public housing by allowing local housing authorities to transfer public housing units to project-based Section 8 units, which have a better shot at government funding and can leverage private investment. While the program requires one-for-one replacement and a right of return for tenants displaced by RAD-related rehabilitation of older units, Blumgart talks to some people who are concerned that current public housing residents will be made more vulnerable. 2. Are we in the midst of another housing bubble? The Federal Reserve of San Francisco suggests that the answer might be no. 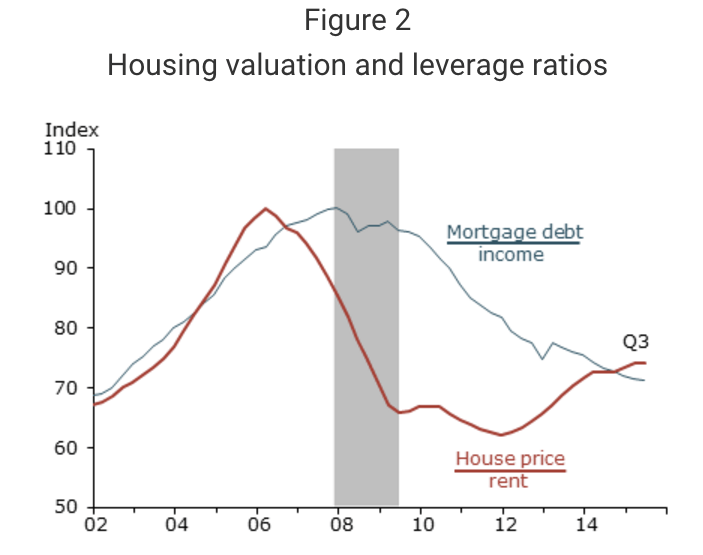 In contrast to the housing boom of the 2000s, which featured an extremely rapid rise in the ratio of housing prices to rents and household mortgage debt, the real estate cycle that began in 2011 has had a slower rise in prices and has actually seen a decline in the ratio of mortgage debt to personal income. 1. 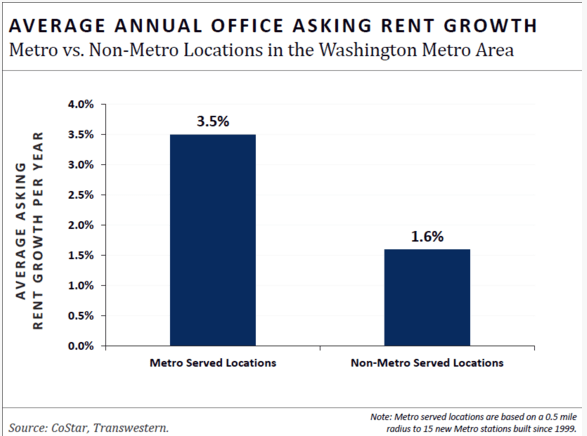 An economic impact analysis conducted for WMATA in the Washington, DC area finds that the growth in office rents has been much stronger close to 15 new Metro stations built since 1999 than in non-transit-served locations. While we often talk about demand for transit-served locations in terms of housing, this is additional evidence that the trend applies to office and employment centers as well.Increasing office rents are a sign of the growing value that employers place on being in the transit-served locations that appeal to workers who want to live in and near cities. Employers want access to workers; workers want travel choices and convenience. 2. A team of Columbia University researchers has provided even more evidence for the “great inversion” of demand towards city centers, rather than suburban peripheries. They find that while in 1980, housing got more expensive as you traveled further from American downtowns, by 2010, that pattern had reversed. They propose that a large part of this trend is that high-skill, high-earning workers have a lower tolerance for longer commutes than previously, leading them to seek housing closer to their jobs. At the same time, this trend is self-reinforcing, as more high-skill jobs are moving to city centers to take advantage of the growing talent pool there. 3. 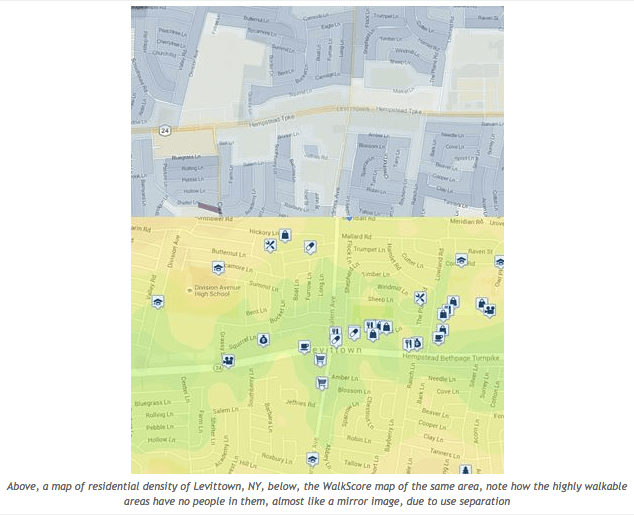 At the Urban Edge blog at Rice University’s Kinder Institute for Urban Research, Andrew Keatts investigates some of the research about why liberals tend to favor denser, more urban neighborhoods than conservatives. As he points out, there isn’t necessarily any obvious reason why that should be so—but Arizona State University professor Paul Lewis has some ideas. His research suggests that there may not be any conscious ideological chain from political beliefs to urban planning preferences, but that both sets of ideas come from certain emotional intuitions: whether people feel a lot of in-group loyalty, for example.